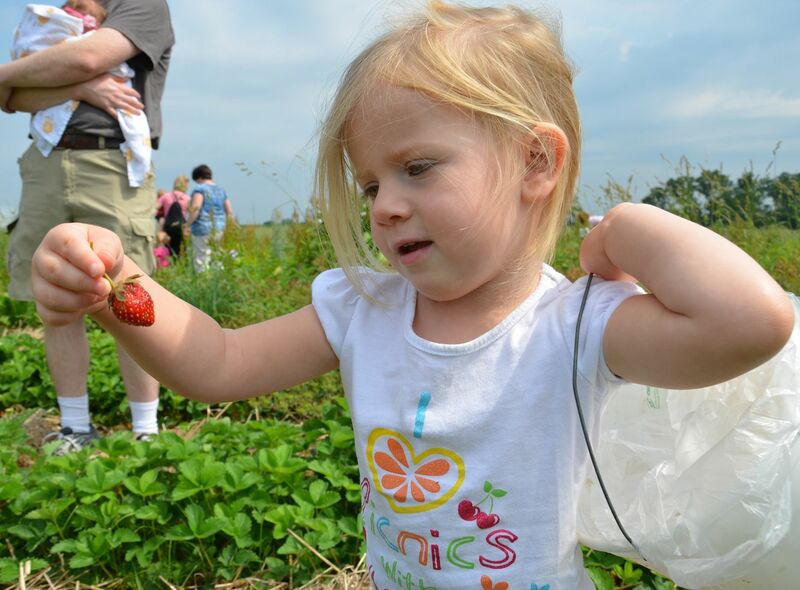 Gallrein Farms is set to open today, April 22! I used to think the only time to visit Gallrein Farms was in the Fall when you can take a hayride out to the pumpkin patch, go through the corn maze, or climb the giant pyramid of straw. While the Fall is a super fun time to enjoy Gallrein, a visit in the Spring is fun too. Gallrein has the most beautiful greenhouses I have ever been in. They have nine greenhouses total. Inside you'll find rows and rows of colorful flowers, hanging baskets, potted plants, and other hidden gems like fairy gardens or chairs made into planters. 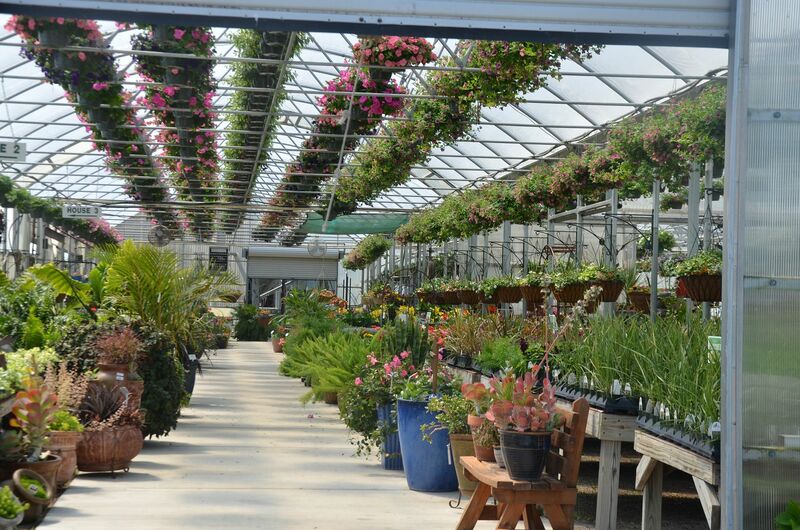 They have one of the largest selections of flowers you will find anywhere, plus tomato plants and other vegetables ready to be transplanted into your garden at home. My daughters and I can spend over half of an hour just walking around looking at everything. Gallrein's Market is also open in the Spring. They have lots of yummy goodies for sale like jams and produce, as well as home decor type items. They have a bakery that serves items such as hot sandwiches, chips, fudge, and candies. 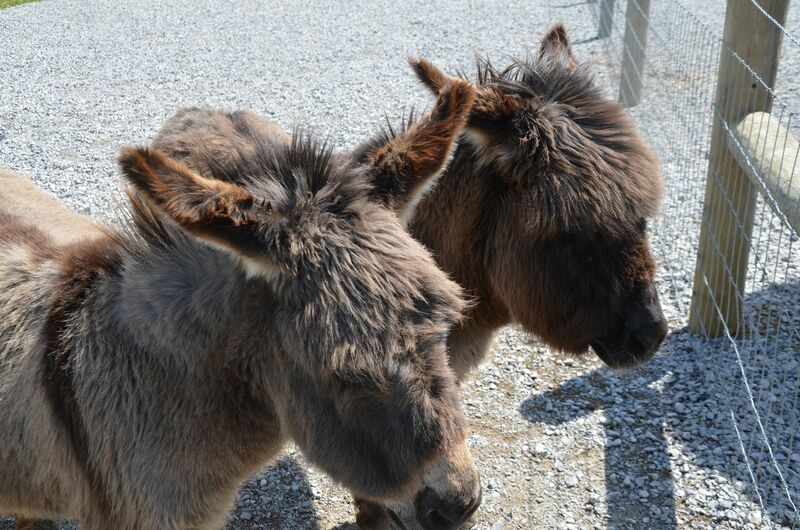 One of our favorite things to do at Gallrein is visit the petting zoo, which is FREE! They recently renovated this part of their farm, and it looks great! We went earlier this week and they had many of their animals already back out in the petting zoo area, but not all. We saw goats, donkeys, a llama, a rabbit, a pig, and several little chickens running around. And you know what Spring means- baby animals! We saw baby lambs, and I heard there were more baby animals not out yet. Can't wait for the camel, my favorite, to come back out! Don't forget to bring a couple quarters to buy food while you are there so your kids can feed the animals. There is a hand sanitizing station located at the entrance gate to clean your hands before leaving. Gallrein also has an old tractor for the kids to play on, a tunnel that can run through, and lots of open grass to run around on. Don't forget to check out the pond and walk out on the dock. Have some fun on the farm!